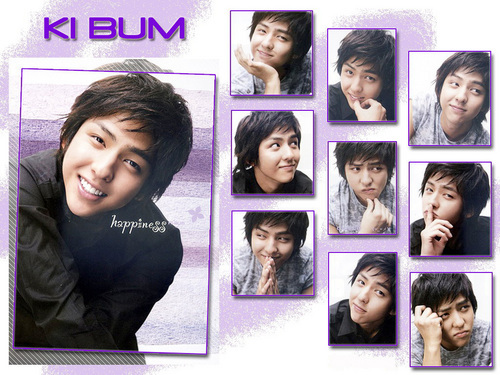 Kibum. Sweet Kibum.... HD Wallpaper and background images in the super junior club tagged: suju super junior kibum. This super junior wallpaper might contain retrato, tiro en la cabeza, primer, headshot, primer plano, en la cabeza, and closeup. He was the first Super junior member that i liked! ahhhhhhhhhh!!!!!! i love u the most!!!! kimbum oppa ur the cutest!! i love u!!!!! !ur so addictingly cute!!! soooooooooooo adorable i could just die by looking at u!!! i can die with u by my side and still be soooo happy! !ur an angel sent from above!! my love and feelings are so out of the question how i feel bout u!!!! saranghae kibum.. but i miss u so much..
kibummie, i Love u so much.. please come back to suju.. saranghaeyo.. elfs are always supporying u & waiting for u.. and im one of those..
Saranghaeyo Kibum Oppa!!! Ur so....cool 'n cuteee.....! I love kibum.saranghe!! !Toi co cung ngay sinh nhat voi anh ay day.Great! hope that he'll be joining Suju's 5th album. oppa pls come back to suju..